France is a beguiling place, bustling and cosmopolitan on one hand, calm and contemplative on the other. If you’re into fine dining, high-adrenaline sports, pristine beaches or historical masterpieces, you’ll find them all in your holidays in France. And, it’s guaranteed to be charmingly, quintessentially, uniquely French. One of the most popular tourist destinations in the world, there are countless reasons why so many people love visiting this diverse country. Along with the above, France is enjoyed and well-known for its cuisine and wine – freshly baked bread, delectable coq au vin, scallops cooked in butter and copious glasses of sauvignon blanc, it sounds heavenly, doesn’t it? 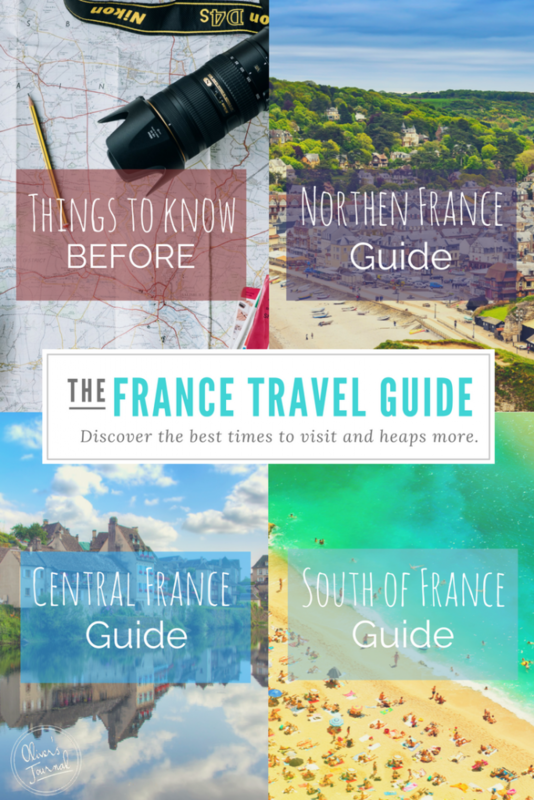 Our France travel guide is unlike any you’ll find online, we don’t mimic, sugar-coat or even skim over the important details. If you’re looking for the holy grail of information, then we’ve made sure you can access it all in one place. 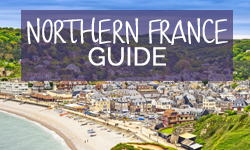 Get to grips with the do’s and don’ts in French etiquette, learn the key differences between Northern France, Central France and the South of France, discover the best times to visit and heaps more. So you think you know France and the French? But before you book your villas in France it’s equally as important to be clued up on the essentials. Do you know the country code? Know what to do in a medical emergency or how to get around? 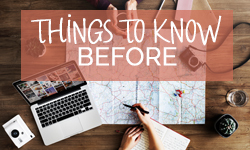 Take a breather, you don’t need to figure this all out on your own, we’ve got the lowdown below! Hands up if you’re a frantic traveller? Travelling can be exciting, daunting and nerve-wracking all at the same time. Throw children into the mix and you need to make sure everyone is prepared for a tiring day ahead. Or, maybe you’re the opposite – great at keeping yourself steady with all your documents to hand. If you need a little assistance, Tripit is a great app that organises your flights, taxis and check-in info for you. And restless travellers will benefit from Calm, tried and tested by the Oliver’s Travels team – this handy app will help you unwind in no time. The euro is used as the currency and is legal tender, having replaced the French Franc. It’s always best to order euros and pick up in advance. Credit cards are widely accepted but check with your bank to make sure it’s 0% commission. ATMS are generally a better rate than a currency exchange. The country code for dialling in France is +33, and to dial a UK number you’ll need +44. Buying a roaming package from your mobile provider is always a good idea, or apps like Viber and Whatsapp use wifi to make calls and send messages to friends and family, keeping costs down. Tipping in France is a complicated business and there’s no hard and fast rule. In general, round your drink bills up by any small change, and just leave a couple of euros after a meal. Museum and tour guides will expect about 10%, and cab drivers around 5-10%. To make things simpler, apps like Tipping Guide help to decipher how much is appropriate and Tip N Split will take care of the calculating for you. A new country, a new map – but rest assured you’re able to download offline maps from Google straight to your smartphone. It’s easy to feel a little out of your depth when you visit a new country for the first time, but after a few days you’ll easily pick up your bearings. To find a good spot to eat close by, FourSquare uses your location to recommend user-reviews restaurants in your direct vicinity. Safety in France is common sense really. Keep your wits about you in big cities, and keep valuables out of sight and off the table when you sit down at street cafes. Make sure everyone in your party has a European Health Insurance Card. This will entitle you to access state-provided healthcare for free or at a reduced rate. It also covers you for existing medical conditions or routine maternity care (as long as you’re not heading to France especially to give birth!). Just in case: The main 999 equivalent number for emergencies in France is 112. For minor problems, pharmacists are qualified to give first aid, so that’s good to know! If you need to see a doctor, every town and village has un médecin de garde (local doctor) for colds and small injuries. Other good numbers to know are the house-call doctor service, SOS Médecins (01-47-07-77-77) and SOS Dentistes (01-43-37-51-00). The TravelSafe app also ensures that no matter where you are, you’ll have the right numbers at your fingertips. Children are welcome everywhere in France, with restaurants routinely offering children’s menus or half-portions of adult mains. It is worth noting that most restaurants don’t open for dinner until around 8.30pm, so younger family members may be better suited to a café or bistro, which generally serve food continuously. There’s a range of French villas with kid-friendly activities, and even winery tours can be turned into fun bike ride excursions for the whole family to enjoy! As with all languages, learning them can be tricky. Regardless, it’s better to visit any country with a few basic phrases – the locals will appreciate the effort even it’s a nightmare to grasp. The language of love is a bumpy road, and while we hope you don’t make any language blunders, here are the 10 mistakes you should avoid making. Now you know what not to say, it’s time to learn the top must know phrases. Remember a little goes a long way. If you can’t remember them all, you can also download a PDF phrasebook to have on your phone at all times. Make an effort to speak to the locals in French. Even if you don’t speak the language well, or at all – the aim is to do your best. This will show that you’re making an effort and will start a pleasant exchange. The best thing to do is learn a couple of key phrases before you go. Never talk about money. It’s in very bad taste. Don’t assume that the French all greet each other with a kiss on each cheek straight away. This is for familiar acquaintances only, so go for a handshake at first and save the pucker ups for your pals. Snaps is the name of the game, the name of the game is snaps. But, save that for inside your villa. Snapping your fingers in France is considered rude. Lunch is between 12 and 2, and not a minute less. Keep conversation away from business, the French are of the opinion that there’s more to life than work. No matter how much garlicky food you had at lunch, you’ll need to leave the chewing gum for later. Chewing gum in public is a no-no in France. In French, ‘cheers’, is ‘santé’. This literally means that you are wishing your table mates good health. Make sure you make eye contact as you clink glasses. Even if you can’t finish your dinner, and would love it as a midnight snack – never ask for a doggy bag for your leftovers. Always serve wine to your companions before serving yourself. The pastures, orchards, forests and farmland of Northern France are rolling and peaceful. 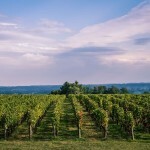 The calming landscape makes for a relaxing road trip, hike or biking trip with regular stops at the wonderfully pretty villages, and producers of fine wines, cider and cheeses. Of course, it would be impossible to explore Champagne without sampling some of their infamous bubbles! The coastline, on the other hand, can be very dramatic with the cliffs of the Cap de la Hague contrasting sharply with the golden seaside resorts of Brittany and the sweeping expanses of Normandy’s historic D-Day beaches. Festival Interceltique is a ten days festival in Lorient, Brittany, which attracts over 700,000 people each year. The festival takes place every August and celebrates the best of the Celtic music from around the world. For history buffs, Normandy plays host to the Fêtes Médiévales de Bayeux in June and July and the D-Day commemorations in May and June. 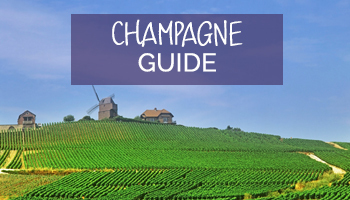 Held every summer, the Route du Champagne en fête is a celebration of all things sparkling. Grab your champagne passport and taste them all over the weekend. Apple harvesting in Normandy: Catch the cream of the crop throughout September and October. 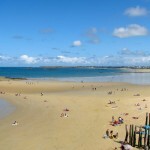 Brittany’s famous beaches: Being in the north, Brittany’s climate is a little warmer than the UK, but not much. Stick to high summer to soak up the sun from June to August. The rainfall varies dramatically in the North of France. For Brittany, avoid December as you can expect 62mm of rain, and October in Normandy can bring a soggy 75mm. In Champagne, June is the rainiest month, often getting over 70mm a day. 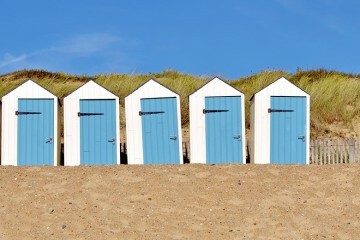 Across the board, July is the time to visit Northern France for the hottest temperatures, with an average of around 18˚C . July and August are the busiest times for tourists, but the season runs from May until October. 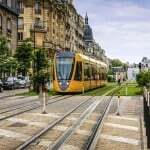 Travelling through Northern France can be hit and miss. As a rule of thumb, it’s always best to rent a car – yes, it can work out a little more expensive but you’ll be thankful in the long run; you can see the sights at your own leisure and you don’t have to worry about the faff of transport. However, not everyone can rely on a car so here is a quick breakdown of the need-to-knows. 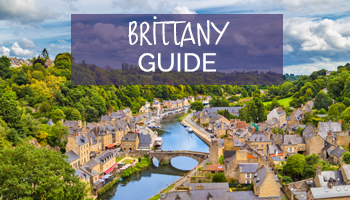 Brittany transport: The Brittany transport links are pretty decent, an extensive coach and bus network allows you to travel from town without the need of a car. Alternatively, you can discover the four corners of Brittany by train, boat and even by bicycle. 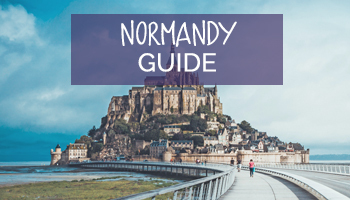 Normandy transport: Can be very tricky to get around without a car, most visitors to Normandy bring their own car or hire one on arrival. Be sure to arm yourself with a good road map (not one of those flimsy freebies). Champagne transport: Train travel in Champagne is limited to the major towns, which are linked by the SNCF’s TER system. The main station is in Reims, which links Champagne to the rest of the country. But again, the most flexible way to get around is by car. There’s an abundance to explore in Northern France, sure you have the typical tourist sights, but even better than that – really discover the quirky towns and villages that make these iconic cities in Northern France so special. There may be some you recognise, others you don’t, but we’ve picked our favourite cities, towns and villages we know you’ll love. Each has something unique and different from the other. So, whether you want to see the best cathedrals, beaches or culture, we’ve selected the very best. 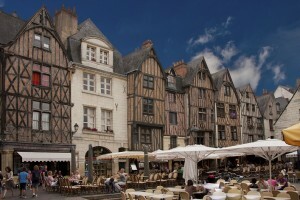 Rennes, Brittany: The capital, best known for its medieval half-timbered houses and grand Rennes Cathedral. 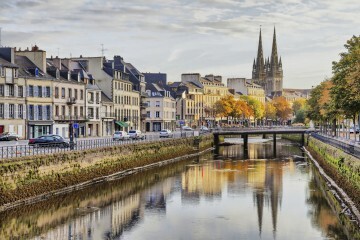 Quimper, Brittany: Medieval city centre and imposing architecture, leafy riverbanks and a twin-spired gothic cathedral. Reims, Champagne: Unofficial capital of the champagne growing region, home to famous champagne houses and fantastic gothic cathedral. Rouen, Normandy: Gorgeous city spanning the River Seine, cobbled pedestrian centre and Monet painted the cathedral! Saint-Malo, Brittany: The ancient walled city on the coast, tour the walls for incredible sea views and watch the labyrinth of cobbled streets below. 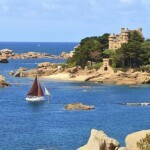 Ploumanac’h, Brittany: Pink granite beaches and a park with striking rock formations separating the town from the sea. 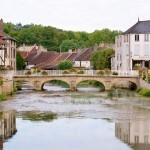 Essoyes, Champagne: Quaint village which was the birthplace and inspiration of Pierre-August Renoir. 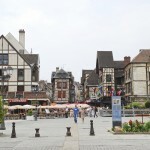 Troyes, Champagne: Ancient-turned-trendy town with colourful half-timbered houses, incredible modern art museum. 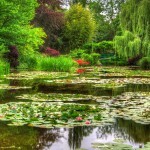 Giverny, Normandy: Small village home to Claude Monet and his infamous water garden. 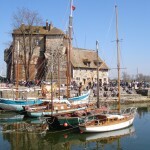 Honfleur, Normandy: Quirky seaside town with a quaint old harbour, popular with impressionist painters. 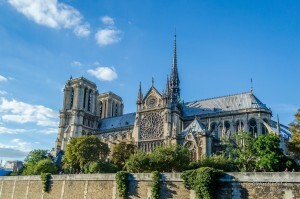 It’s easy to see France as city trips to Paris or blow-out holidays to the French Riviera but Northern France is utterly rich in historical heritage and natural wonders. 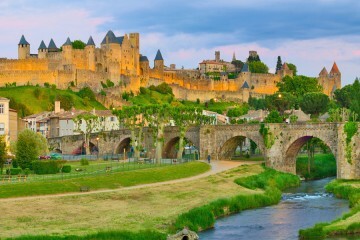 Just the sheer abundance of France’s unspoilt beauty is enough to keep outdoor lovers happy, exploring for a lifetime. The beaches are simply breathtaking and the views are almost too good to be true. There is so much to explore in the region, but we’ve listed our must-sees, that stand out amongst anything else. 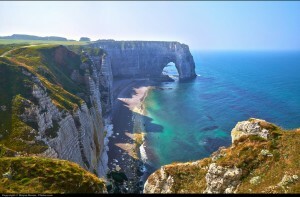 Cliffs of Étretat, Normandy: These incredible white cliffs run along Normandy’s historic coastline between Dieppe and Étretat, climb to the top for views of arching rock formations. Côte de Granit Rose, Brittany: Breathtaking pink granite formations and sand beaches. Vineyards and Valleys, Champagne: Not officially 100% natural, but striking and absolutely gorgeous to see. 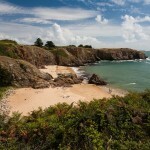 Les Îles Chaussey, Normandy: The Chaussey archipelago is full of deserted beaches, 16th-century castles and wildlife. Northern France is celebrated for its hearty food, not surprisingly along the coast for the wonderfully fresh fish dishes. And it may come as a shock, but the Northern region produces a lot more beer and cider, as opposed to wine. Often many menus will be dotted with beer infused menus, and locals will often take their meal with a refreshing pint or larger. Below are some of our favourite dishes on offer in Northern France! 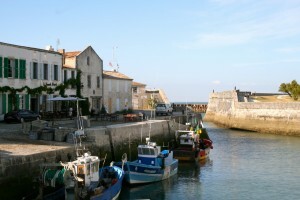 Fish: Brittany is home to some of the best seafood, try the moules frites and oysters. Meat: Andouillette de Troyes are an unusual but delicious sausage delicacy. 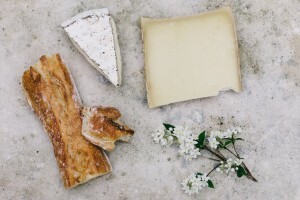 Veggie: You cannot visit this region of France without sampling camembert and brie – daily, if possible. Dessert: Local apples are grown in abundance in Northern France, making this the perfect location for the best Tarte aux Pommes. Drinks: On account of all the apples, and the copious infamous vines be sure to sip on some cider and champagne. 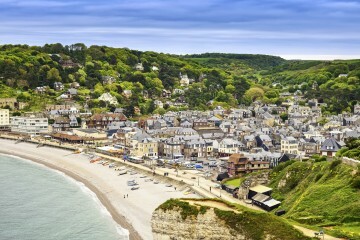 See the islands dotted along the coastline of Brittany and Normandy. You’ll find yourself among dramatic scenery, cute coastal communities with ancient customs, medieval fortresses and abundant wildlife. 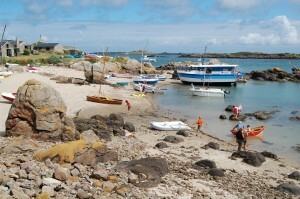 The Îles Chausey are a rocky collection of islets off Normandy’s coast and can be explored best by boat. The Gulf of Morbihan is a more expansive collection of larger islands in Brittany; Île aux Moines and Île d’Arz should definitely be on your stop-offs list. Mont Saint Michel is a tiny island near Avranches in Normandy. 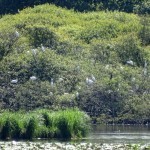 It lies in the sand flats a kilometre off the coast, so only sometimes surrounded by water. The island itself is almost entirely occupied by the impressive abbey and is one of France’s most visited and most photographed attractions. Central France is home to swathes upon swathes of vineyards, some gorgeous undiscovered stretches of coastline and the infamously beautiful chateaux. Visit the Loire Valley to experience serious history, famous wines and river; see the blueberry-covered hillsides and medieval villages and vintages of Burgundy; and find stunning sunny coastline and watery adventures in Vendée & Charente. 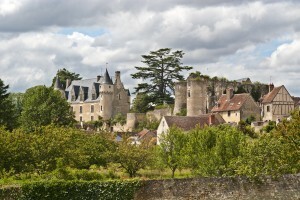 The International Garden Festival in Loire Valley runs throughout the summer in the grounds of Domaine de Chaumont-sur-Loire. Hospices de Beaune Wine Festival, in Burgundy, is a three-day festival in November that celebrates everything there is to love about the grape. The Blues Passion Festival, Vendée & Charente, runs for several days in July, the streets of Cognac are thronged with blues and jazz fans from all over France for this popular festival. Grape harvesting: September and October. Sound and Light shows at the chateaux: Summer. October with an average of 20 rainy days. July and August temperatures hit around 26˚C. Though this is nothing compared to the South of France, the heat will feel much more comfortable here. Visiting between June and September can often be tourist-heavy’, so, we recommend planning a trip between April and May. Everything will be less crowded, the days will appear much longer with extra daylight hours, and temperatures will be steady at 20˚C. Moving between Central France is much easier than Northern France. Transport links run much smoother, catching trains are hassle free and you can even move around on bicycle to see your beautiful surroundings up close. As always, we’ve broken down the cities with the best transport links. 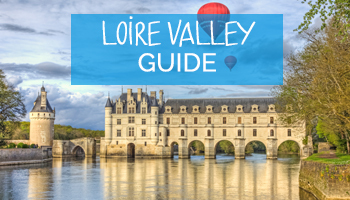 Loire Valley transport: An invaluable train line runs alongside the Loire River from Orléans to Angers, with options to connect to key valley destinations such as Blois, Tours and Saumur. 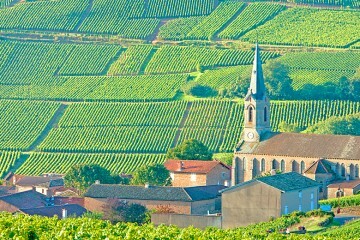 Burgundy transport: Driving is the best way to see the most of Burgandy in the least amount of time. 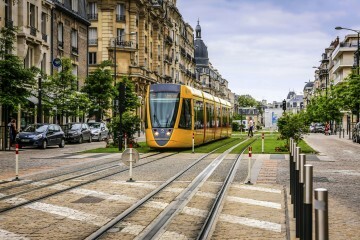 But if you don’t fancy driving you can rely on the regional railway network TER, so you can travel between places such as Dijon, Autun and Beaune with ease. Driving is the best way to see the most of Burgundy in the least amount of time. Vendée & Charente transport: Cycling is one of the best ways to explore here, both regions have an extensive network of bike lanes. However, it’s worth knowing that public transport services are generally limited. Just like light and shade, Central France is a fusion of the best of both worlds. You’ll feel the buzz in the capital cities, but feel at peace in some of the smaller towns – and it’s honestly pretty blissful. Not sure where to start? We’ve broken down our favourite cities, towns and villages to be a helping hand. 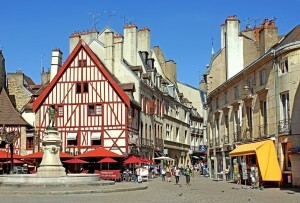 Dijon, Burgundy: This historical capital is bursting with vineyards, mustard (of course) and incredible buildings. 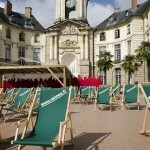 Nantes, Loire Valley: Vibrant and young metropolis often rewarded for its top-quality of life – a city where art has literally been integrated in all possible aspects. 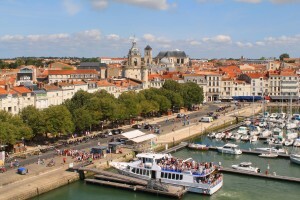 La Rochelle, Vendée & Charente: Trendy coastal city, 17th century arches over cobbled paths, modern marina. 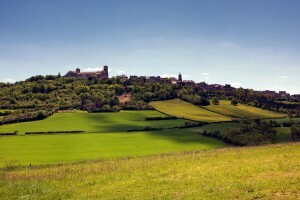 Vézelay, Burgundy: Beautiful hilltop abbey, twisting alleyways and great views from the ramparts. 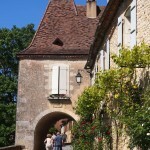 Flavigny-sur-Ozerain, Burgundy: One of the prettiest villages in France, famous for its sweets. 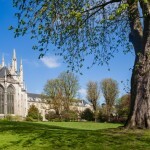 Chartres, Loire Valley: Amazing Notre-Dame cathedral and medieval town with a gothic vibe. Montresor, Loire Valley: One of most beautiful villages in France, legendary folktale about a lizard, pretty square with half-timbered houses. 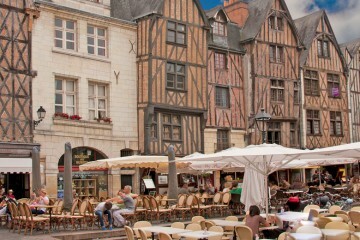 Tours, Loire Valley: New meets old architecture, cultural centre, funky shopping and restaurants. Ile de Ré, Vendée & Charente: Small island off the west coast, golden sand and cycle paths, picturesque harbours. 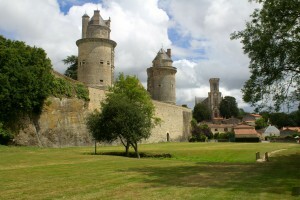 Apremont, Vendée & Charente: Cliffside village, panoramic views, popular ruined castle, lakeside beaches. You can’t help but be seduced by the gorgeous green landscapes and massive volcanic chains. 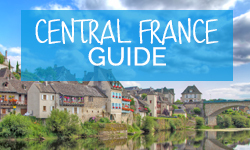 Those who look for action during their villa holidays will love Central France. Earthy cycle routes, natural parks and ‘Green Venice’ – find our best natural picks below. 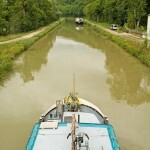 Canal de Bourgogne, Burgundy: A haven for cyclists, walkers and boaters this canal snakes its way through the entire region of picturesque Burgundy. La Brenne Natural Park: Often called ‘the land of a thousand lakes’, the Brenne Natural Park is a perfect for walks, fishing, canoeing and stunning beauty. 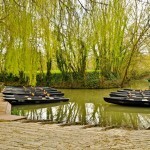 Marais Poitevin, Vendée & Charente: Snake your way along the water paths in the locally known wetlands of ‘Green Venice’. 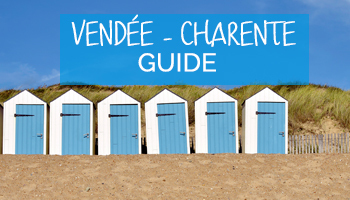 Ile d’Yeu, Vendée & Charente: This 10km long island is a blue, sandy, life-affirming vision. The cuisine is regarded as ‘traditionally French’, rich in flavour with plenty of butter, cream and other high-calorific deliciousness. And how could we forget the cheese, Central France produces incredible cheeses, specialities include Cantal and Roquefort. 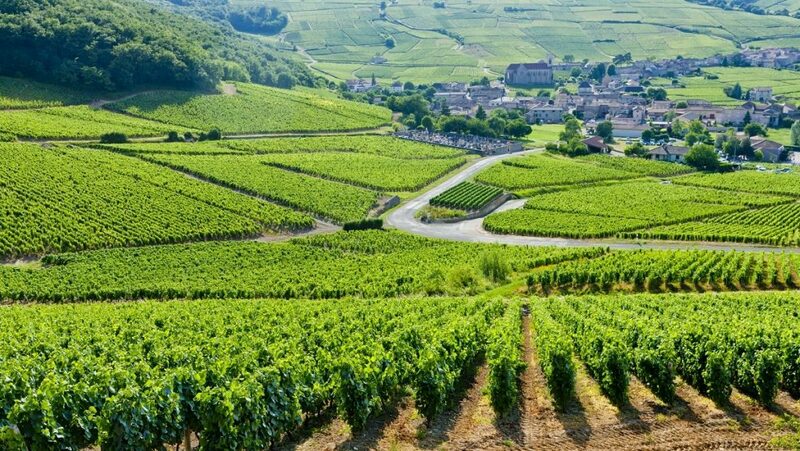 The wines are to die for in Central France, especially the burgundy wines, which, believe it or not only from 2% of the wines produced in France! Fish: The seafood from Vendée & Charente is fresh, bountiful and delicious. 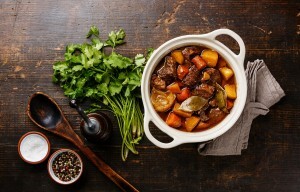 Meat: Central France is home to Boeuf Bourguignon, a must. Veggie: Prepare for a taste sensation with Dijon mustard and chestnuts both produced in the area. Dessert: Tarte Tatin is a delicious, pan-baked upside-down caramelised apple tart. Drinks: Cognac and local Pinot Noir and Chardonnay. 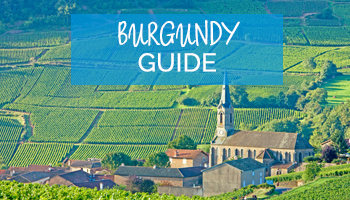 Be sure to taste the best of the best in Burgundy. Visit some Troglodyte homes – these can be found all over central France and are sort of the ‘anti-chateau’. They are built directly into the rock, and can usually be spotted by the balconies and windows dotted along a cliff face. The history of these striking cave-dwellings is fascinating and well worth a visit. Some well-known ones are at Meschers-sur-Gironde in Vendée & Charente and Troo in the Loire Valley, but you can find them dotted all over central France, look out for the signs to them from any main roads near cliffs. Cross the Passage du Gois, this unique causeway is submerged by the tide for most of the day. 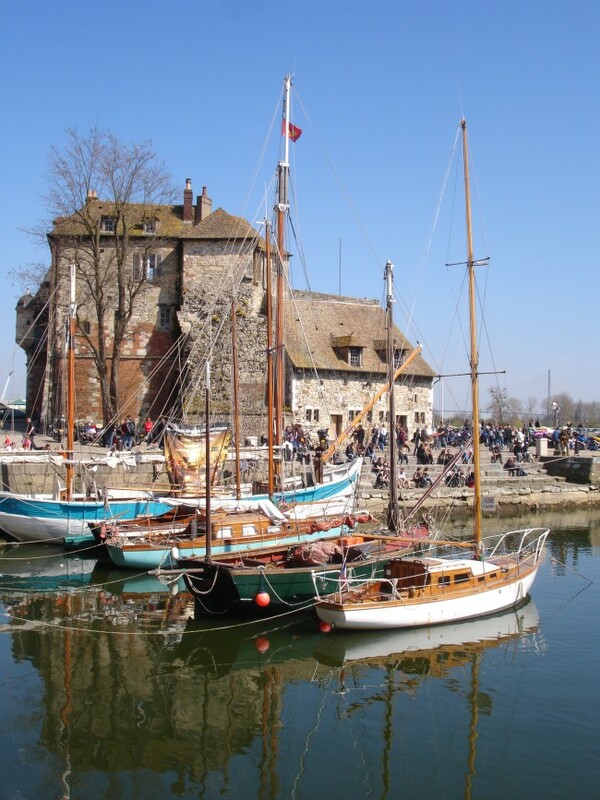 Timing your visit to the connecting island of Noirmoutier is a fun and sometimes exhilarating experience. Once there, Noirmoutiers itself is a lovely place to be marooned, with beautiful beaches, scenic walks, crafts and fantastic restaurants. Whether the South of France conjures images of the glamour of the Côte D’Azur, the idyllic countryside of Aquitaine, or the peaceful vineyards and history of Languedoc, it most likely holds your ideal holiday. 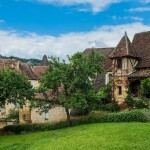 The snow-capped mountains of the Midi-Pyrénées and stunningly beautiful towns beckon in the winter months, and sun-soaked beaches, festivals and locally grown Mediterranean foods draw in the summer crowds, and yet the dreamy laid-back areas, like those found in the Dordogne offer space enough for everyone. A must for film fans the world over, the Cannes Film Festival is essentially a pilgrimage for cinephiles. Held every May, it’s the biggest festival in the film industry, with blockbusters and independents all carefully curated. Director, actor and miscellaneous celebrity sightings are a given. June sees the Bordeaux Wine Festival celebrate all things grape throughout one of France’s favourite wine regions. Expect to taste lots and lots of wine, and see fantastic multimedia and fireworks displays. 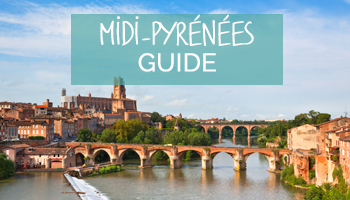 The Midi- Pyrénées loves a good festival or celebration, it has things going on for all tastes all year round, from jazz concerts and flower displays to the Tour de France. Celebs on the beach: Head to the French Riviera from May to September to hob-nob with the celebrities on the sand and in the chic bars and restaurants. Take your credit card! All the grapes: Grape harvesting is normally in September and October, and many of the wineries are happy to let you help out with the picking. 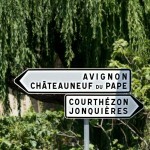 It’ll be happening all over France, but Aquitaine is a good bet. 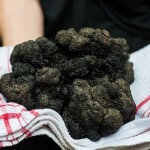 Truffle mania: Prized black truffles are in season in the Dordogne between December and March. If you’re foodie fanatic, bundle up and brave the chilly weather to get your own taste of nature’s gold. 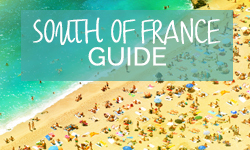 Although you might get the odd thunderstorm in late summer, the rainiest months are Southern France are October and November. Temperatures can reach 40˚C. in July and August. If you’re sensitive to heat, consider either a pad with air con and a pool or timing your visit for the balmier months of June and September. 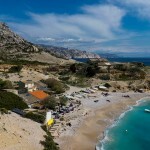 For those seeking the sunshine, crowds tend to flock to the beaches in the South of France during peak school holiday times. If you can avoid July and August, you’ll have more space to sunbathe during June and September. If you’re a snow bunny, the slopes of the Midi-Pyrenees are busiest during UK and France school holidays, when flights are often also at a high. If you’re not governed by term-time, it’s worth planning your villa holidays ahead for some blissfully empty runs. Getting around the South of France is a lot easier than both the North and Central France. Public transport is a lot more reliable in certain areas, cycling is a breath of fresh air but of course, driving will almost always be your best bet. We’ve broken each city down by transport links and tips! 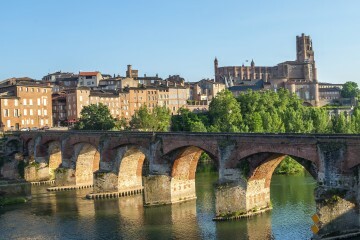 Midi-Pyrenees transport: Rail connections from Toulouse link up the regional capital with other major stations, including Albi, Lourdes, Rocamadour and Millau, among others. But if you’re looking for an adventure, the Midi-Pyrénées is walking country par excellence. Languedoc transport: Hailing taxis is generally not the done thing in Languedoc; you’ll have more luck finding them at taxi stands or by booking ahead by phone. 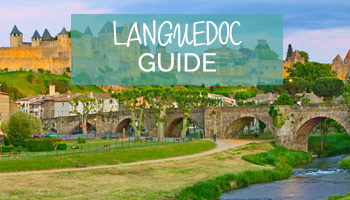 But driving in Languedoc is the best way to get around, and allows for access to those remote and rarely explored areas that can’t be reached by public transport. Dordogne transport: Getting around the Dordogne without a car can prove restricting. Train services in the region are slow, irregular and infrequent. Buses, alas, are even worse. Provence transport: The TGV system – an abbreviation that literally stands for ‘really fast trains’ – is the best way to get into the region from elsewhere in France. 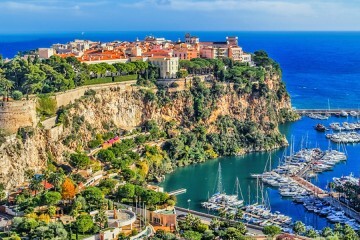 Cameras, lights and action – the South of France is definitely about the glitz, glamour and high-end luxuries. But beyond the flashiness are charming towns, unusual markets and winding lanes. 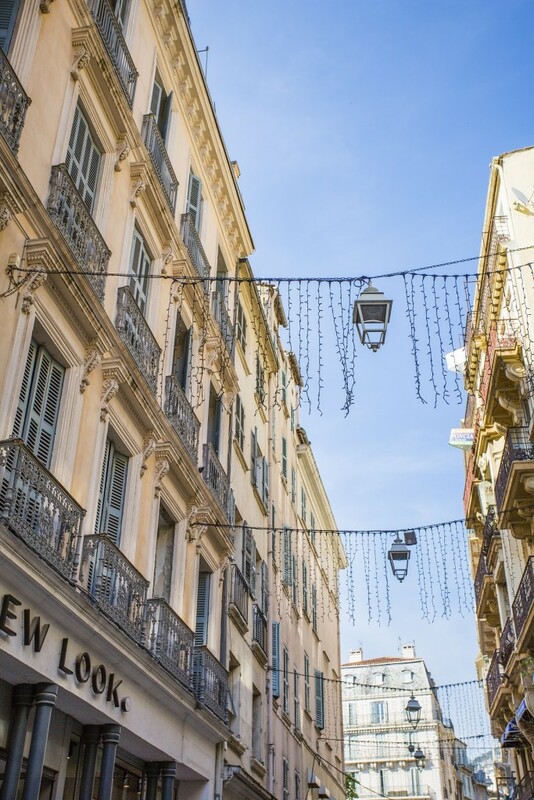 The stark contrast of these cities and towns is what makes the South of France so special. 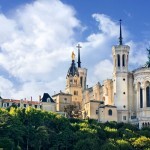 Lyon, Rhone-Alpes: Gastronomical delights, colourful landscapes and rich in history. Oh, and don’t forget, Lyon was once the capital of France. Nice, Cote d’Azur: This city has long attracted artists, renowned for their pebble beaches and the Promenade des Anglais, a quirky tribute to English tourists. Sarlat, Dordogne: Medieval village with an enormous town market that will make your heart sing. 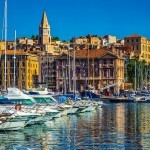 Marseille, Cote d’Azur: The second largest city and the oldest in France. Also renown for their fresh fish and edgy vibe with more than 1500 years of history. Toulouse, Languedoc: A.k.a the pink city, majority constructed from pink brick. 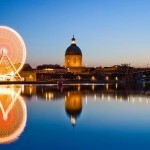 Visitors love the endless festivals and joyous atmosphere surrounding Toulouse. Bergerac, Dordogne: Medieval city with concerts, markets and great museums – make sure to visit the historic ‘vielle ville’ north of the river. 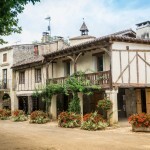 Fourcés, Midi-Pyrénées: Listed as one of the most beautiful villages in France, this medieval crescent of half-timbered house will not disappoint. 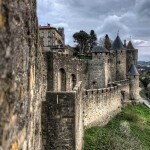 Carcassone, Languedoc: Infamous walled hilltop city, medieval architecture and history in spades – the castle is a must. 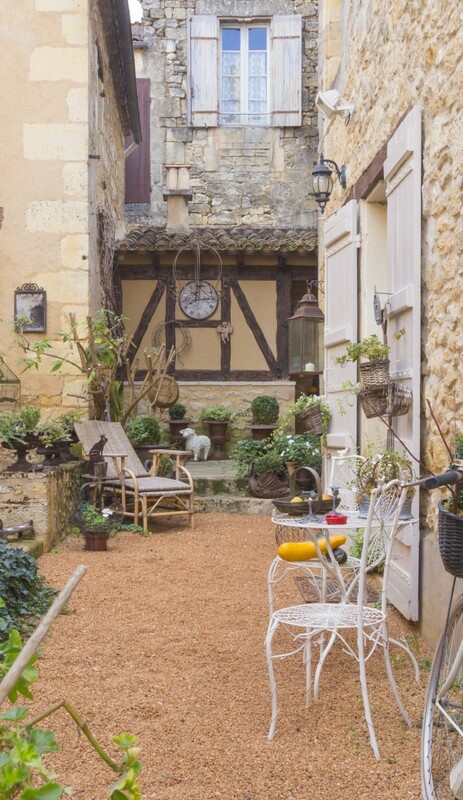 Limeuil, Aquitaine: Timeworn village with unspoilt old-world charm, situated at the meeting point between the Dordogne and Vézère rivers. Bordeaux, Aquitaine: The town at the heart of the infamous wine region, beautiful landmarks like the gothic cathedral and stunning riverbank gardens. 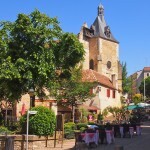 Loubejac, Dordogne: Pretty, unassuming Dordogne village famous for its summer night market- take your own knife and fork! St-Guilhem-le-Desert, Languedoc: Rabbit warren of winding lanes on the banks of the Herault gorge, beautiful views everywhere you turn in this UNESCO gem. Assignan, Languedoc: Unique, brightly coloured village given its colourful persona by an eccentric Flemish couple. 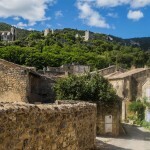 Oppede-le-Vieux, Provence: Built high on a rocky outcrop and surrounded by forest, this 12th century village has a seriously impressive location. St-Tropez, Côte d’Azur: The original jet-set flocked here in the 1960s, an image it still portrays to this day, go here to see and be seen. 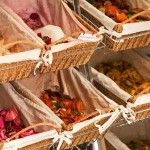 Grasse, Cannes: This town is considered the world’s perfume capital, a visit is sure to smell heavenly. Avignon, Provence: The region’s cultural hub, overflowing with stunning chapels and churches. 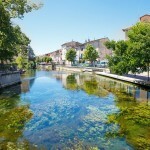 L’Isle-sur-la-Sorgue, Provence: Formerly a nautical village, today a hub for antique lovers and those looking to experience the scenery of a bygone time. It’s hard to find an adjective that really sums up the natural beauty in the South of France. These unspoilt sights are postcard worthy, but even images don’t do it justice. From stunning thermal springs to prehistoric caves – this region is paradise for those looking for that perfect holiday Instagram shot. 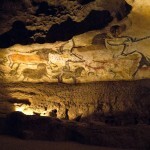 Lascaux cave paintings, Dordogne: Complex of prehistoric caves with incredible palaeolithic paintings inside. 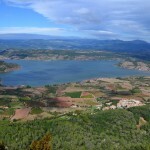 Lac du Salagou, Languedoc: Incredible blue lake, surrounded by amber-coloured landscape. 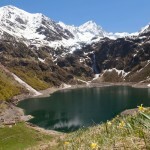 Bagneres de lucheron, Midi-Pyrénées: Beautiful mountain area, brimming with heavenly thermal springs. Calanques National Park, Provence-Côte d’Azur: Wild and spectacular park, with high rocky cliffs rising out of the spectacular blue ocean. Fresh and light come to mind when describing the food of South of France. Staple ingredients include olive oil, tomato, garlic and the main attraction, fresh fish. Most meals will also begin with an aperitif, our personal favourite is tapenade with a glass of pastis. 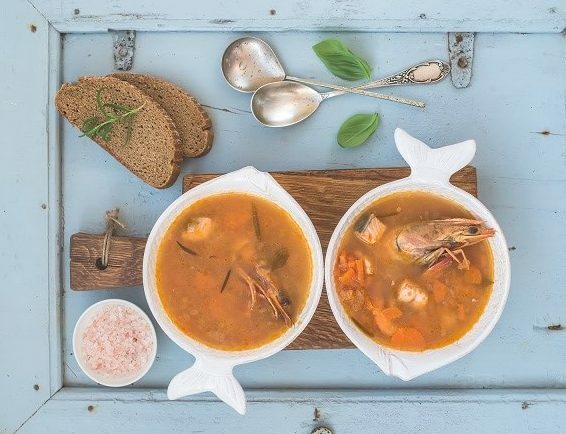 Fish: You’re in the homeland of bouillabaisse, eat it! Meat: Cassoulet is a classic stew made from pork and white beans, here you’ll find the original and best recipes. Veggie: Pistou is a cold-pressed olive oil based sauce with basil and garlic, delicious and classic accompaniment to lots of things, but try it spread on fresh bread with olives. Cheese: Roquefort cheese is one of the stinkiest, so make sure you’re entire party partake! Dessert: Cannnelés are small individual pastries flavoured with rum and vanilla with a custard centre and a gooey caramelised crust, find the best ones in Bordeaux. Drinks: All the wine from Bordeaux, and the pastis in Provence. Hang tens and gnarly pipes might not be the first things to come to mind when you think of the South of France. But, if you’re thinking of learning to surf, you’d be hard-pushed to find a better spot. Biarritz is famed for its surfing for beginners and pros alike, so grab a board and catch some of those gorgeous blue waves! 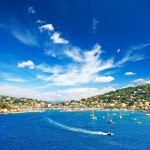 Speed up in the Côte d’Azur with a luxury car hire. This is the region of excess, so hire an open top car, don your biggest sunglasses and cruise along the incredible coastline. 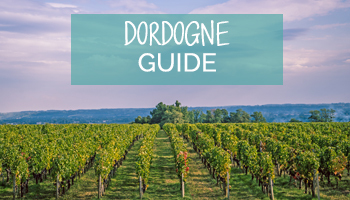 Slow down and get lost in any or all of the umpteen pretty villages in the Dordogne. You really can’t wrong, there’s a photo-op around every corner and the beauty of the streets and the slow pace of life are a true joy to explore.